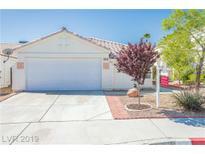 Below you can view all the homes for sale in the Tenaya West subdivision located in Las Vegas Nevada. Listings in Tenaya West are updated daily from data we receive from the Las Vegas multiple listing service. To learn more about any of these homes or to receive custom notifications when a new property is listed for sale in Tenaya West, give us a call at 702-930-8014. See it before it's gone! MLS#2088171. Keller Williams Market Place I. The 'den' (can b 5th BR) is additional room in Master for nursery/office/excercise/4 car/wired 4 elevator/2 gas stb's MLS#2085697. Heritage Realty Co. The lush, green backyard is complimented with a paver patio. No HOA. MLS#2085357. Huntington & Ellis, A Real Est. This property will be even more desirable by the end of next week with a new coat of paint inside & out. MLS#2083871. eXp Realty. Convenient to freeways, schools, shopping, restaurants, & more! MLS#2083761. Rock Realty Group. beautiful Richmond American home built in 2018, this gated southwest home includes open floor plan,stainless-steel appliances w/frige washer dryer,prewired ceiling fans, MLS#2083331. Desert Springs Realty LTD.
Backyard OASIS w/ SPARKLING BLUE POOL! MLS#2078304. Maxim Properties. This gated southwest home includes an open floorplan, custom candlelit fireplace, stainless-steel appliances w/refrigerator, maple cabinets, upgraded quartz countertops in kitchen, loft and a den, all rooms pre-wired for ceiling fans, upstairs laundry room, washer and dryer included, spacious yard with no one directly behind, paver driveway, strip and mountain views. MLS#2078663. Simply Vegas. 2 bedrooms 2 bathrooms Great investment opportunity. MLS#2078094. RE/MAX CENTRAL. Home has been freshly painted and carpets shampooed! Ready to go! MLS#2077623. Wynn Realty Group. This immaculately cared-for home is full of perks:open floor plan, vaulted ceilings, granite kitchen & bath counters, cans & spotlights, renovated cabinets, SS appliances, remote controlled ceiling fans, decorative front yard pavers, oasis backyard & more! MLS#2077111. Paradigm Realty. Property Has An Office/Den Which Could Be A 3rd Bedroom. No Need To Pre-view. MLS#2076344. Power Real Estate. Master Bath with Enlarged shower with seat, 12X10 paver patio area, 2 tone Interior Paint. Energy Star Rated home. MLS#2076021. KB Home Nevada Inc.
Master Bath with step in shower, 12X10 paver patio area, 2 tone Interior Paint. Energy Star Rated home. MLS#2076006. KB Home Nevada Inc. Secondary BD are well proportioned.Spectacular rear yard W/ deluxe pool, covered patio & beautiful water feature. MLS#2074349. BHHS Nevada Properties. Cozy and private backyard with covered patio and lawn. Situated at end of cul-de-sac. MLS#2073372. RX Realty. Great location in the Northwest. No HOA. MLS#2072718. Executive Realty Services. 3 bedrooms with tech loft, birch cabinets throughout, 9 foot ceilings on the first floor, stainless steel appliances, granite counters in kitchen, quartz counters in bathrooms and much more! MLS#2067519. KB Home Nevada Inc.
Tile floors, upgraded appliances, beautifully front and rear landscaping and much more! Furniture will be removed. MLS#2066585. KB Home Nevada Inc.
so much potential so much rooms to add on , NO HOA MLS#2061674. Windermere Prestige Properties. *two Story Home*open Floor Plan*vaulted Ceilings*tile Floors*cozy Fireplace*sunny Kitchen With Garden Window, Tile Counters And Plenty Of Cabinets*large Bedrooms With Vaulted Ceilings*sitting Area In Master Bedroom*double Sinks, Large Garden Tub And Glass Shower In Master Bathroom*covered Patio In Back With Ceiling Fans*large Backyard*low Maintenance Landscaping*two Car Finished Garage*so Many Possibilities* MLS#2057412. Keller Williams Market Place. Cozy up in the den with the warmth of the tiled fireplace or have some fun in the upstairs loft equipped with wet bar and pool table! MLS#2051923. Nationwide Realty LLC. More Info Will Be Updated MLS#2049442. BHHS Nevada Properties. Upgraded Maple Cabinets, Granite Countertops, Two Tone Interior Paint, Paver Driveway, upgraded flooring, Energy Plus Home. MLS#2047036. KB Home Nevada Inc.
Upgraded Maple Cabinets, Granite Countertops, Master Bathroom Enlarged Shower with Seat off Master, Paver Driveway, upgraded flooring, Energy Plus Home. MLS#2032592. KB Home Nevada Inc.